When it’s time to find your next Toyota, you can really only count on a dealership that truly knows Toyotas. That’s exactly what you’ll find at Andy Mohr Toyota, your Lafayette area Toyota dealership. On this page, you’ll find more information about who we are, our extensive Toyota inventory, and the many services we’re proud to offer. Read below to learn more about our Toyota vehicles, our finance department, and our convenient, on-site service center! The city of Lafayette, IN, is known far and wide as the home of Purdue University. With so many creative thinkers and hard workers in the area, this city has also become a hub for the arts. Take in the many unique pieces housed at Haan Mansion Museum of Indiana Art. Or, enjoy auditory art at Lafayette’s annual Uptown Jazz and Blues Festival. 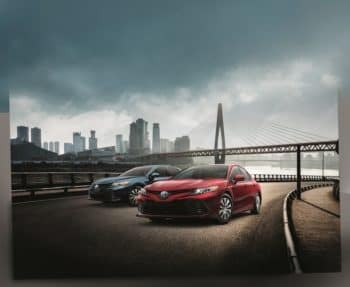 No matter what you’re looking for while buying a new Toyota, we’re confident that we have it in our widely varied and extensively stocked inventory. 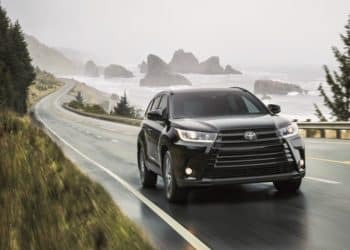 We carry just about every current model Toyota has to offer including sedans like the Camry, SUVs like the RAV4 and Highlander, pickup trucks like the Tacoma, and even passenger vans. To help you navigate your many hundreds of new, used, and certified pre-owned Toyota options, our sales team will be by your side. With their knowledge and dedication to your needs, they’ll have you paired with the perfect Toyota in no time. After our sales team has you matched up with the Toyota of your dreams, they’ll introduce you to our friendly finance team. These helpful individuals will sit down with you to learn about your budget and lifestyle, while also laying out your many financing options. Together, you’ll be able to craft a payment plan that fits your needs. In addition to our finance team, we also offer a handful of special finance options at our Toyota dealership. Whether you’re in outstanding credit conditions or worried you won’t be approved, we offer poor-credit car loans to Lafayette drivers. Even when your Toyota is in need of some unexpected repairs or is experiencing a problem, you can count on our technicians. With their state-of-the-art tools and many years of experience, your vehicle will be in the best of hands when you bring it to us. As you can see, we at Andy Mohr Toyota are ready and excited to help you find your next Toyota. Get started on finding your next vehicle with us today by browsing our inventory. When something catches your eye, call down to your Lafayette area Toyota dealer to schedule a test drive!